reSITE seeks an Executive Director for its office in beautiful Prague, Czech Republic. reSITE is a non-profit platform supporting the intersections and synergies of architecture, urbanism, politics, culture and economics working in Prague, Lisbon, Berlin & North America. For the past seven years, reSITE became a leading voice in Europe in the field of rethinking urban planning, architecture and urban development, attracting political leaders of inspirational cities to its Prague’s flagship event. reSITE connects leaders across disciplines and brings a multitude of events, debates, film screenings, exhibitions and bike rides for the general public. Recently, reSITE opened Manifesto Market, a popup space on an unused plot of land in the center of Prague. reSITE was founded in 2011 by Martin Barry, a landscape architect, originally from New York, and reSITE’s guest curator is Greg Lindsay. Overall management of the organization, working with the board & founder. Fundraise to build organizational capacity, finances and resourcing. Serve as the main point of contact for the global & local partners and clients. Work with the partners and operations team to identify and implement new opportunities. Conceptualize, create and execute a strategic plan. Capacity building, finances and resourcing, program development and evaluation. Plan and execute fundraising strategy. Manage event and project conception and programming. Act as the direct manager to the event, project and production managers, and potentially sourcing teams. A full-time and long-term commitment starting immediately. Exposure to international experience, partnering with top global communities and partners. An office space in Prague’s city center will be provided. Partial home-office possible upon agreement, flexible working hours. TO APPLY: Email your résumé to Lida Hasmanova lida@resite.org with “I want to become your Executive Director” in the subject line. 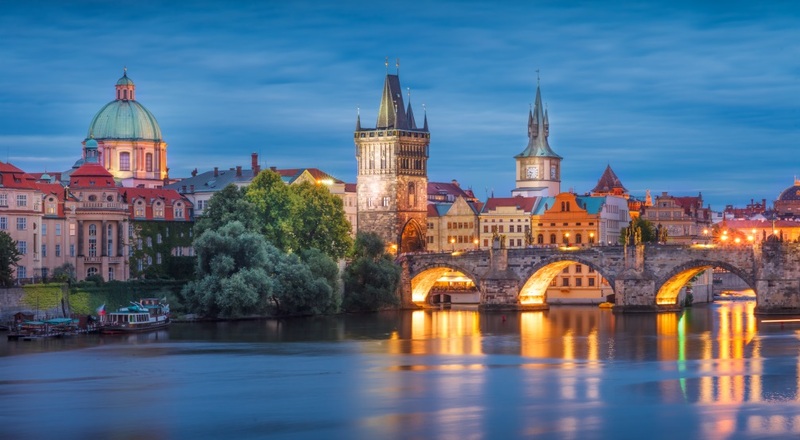 Photo of Prague via Adobe Stock.